The awards night was held in Leicester on Saturday night. It was a fantastic evening where 450 people who love hockey attended! 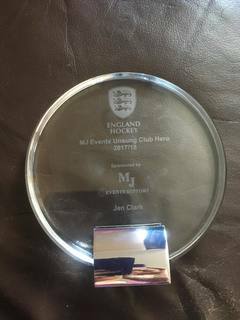 Jen was shortlisted from 54 to 9 and on the evening and was truly delighted to win the award. 12 members of Wick Ladies enjoyed the evening with her and there were few bad heads in the morning!